Made up of no fewer than eleven different villages, La Plagne's huge variety in atmosphere and amenities offers a holiday base to suit every taste and budget. Plagne Centre is the main resort area and features all the shops, restaurants and bars holidaymakers would expect from a major French ski resort. Ongoing developments are improving the 1960s architecture which dominates this area, but these apartment blocks provide a home for cheaper rooms than in many other resorts. Lying directly below the central village Plagne 1800 offers a more scenic spot for visitors with its chalet-style buildings and ski-in, ski-out accomodation. The whole La Plagne resort benefits from being part of the Paradiski area, with a variety of pistes covering a huge area and giving all levels of skier and snowboarder a challenge. The much-improved chairlift system also provides access to a huge off-piste ski range as well as five terrain parks, a half-pipe and various boarder-cross courses. Off the slopes La Plagne plays host to both lively, and more relaxed, bars plus restaurant catering for a range of tastes and differing cuisine types. Another major draw to the resort is the bobsled run used in the 1992 Winter Olympics where the 1.5km track which can generate forces of up to 3g is now open for the public to try their hand at. Low-cost shared transfers from Geneva airport are available as well as luxury private taxis for groups. Snowbus run a regular bus line between Geneva airport and La Plagne ski resort which allows passengers a cheap method of travelling. Shared transfers are available to La Plagne and Plagne 1800 on Saturdays and Sundays from just £49pp. Private minibus transfers are also available seven days a week for a direct journey from Geneva airport for any size group. 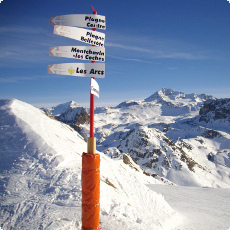 With services from the major European low-cost airlines, Grenoble airport offers an excellent route to La Plagne. On Saturdays throughout the winter season Snowbus operate a regular shared transfer line between Grenoble airport and La Plagne (Centre & 1800). Ten Snowbuses operate on Saturdays and passengers can travel from as little as £53pp. Private taxi transfers also allow a quick and convenient travel option for groups of skiers and snowboarders. Fitting in around all Grenoble flights we can accommodate groups of any size. 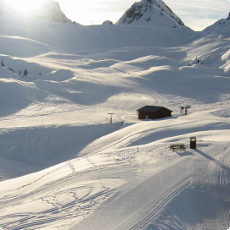 Chambery airport provides the closest arrival point for all La Plagne resorts. Snowbus offer private taxi transfers in our comfortable, reliable minibuses. With minibuses for up to 19 people, and coaches available for larger groups on request, we can provide a quick door-to-door journey for any size group. With major domestic and international airlines flying to / from it, Lyon airport represents a great choice for holidaymakers looking for a reliable journey. Snowbus offers private taxi transfers in our small, mid-size and large vehicles so any group can take a quick and comfortable transfer journey up to La Plagne and 1800.